John is a ABC news reporter, public speaker and a Beam pilot. 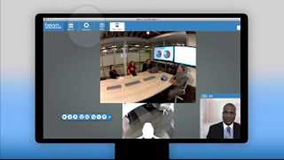 Below is an example of John piloting a Beam from his laptop in a guest room from New York talking with associates in Boston. This is one of John’s first time on a Beam. 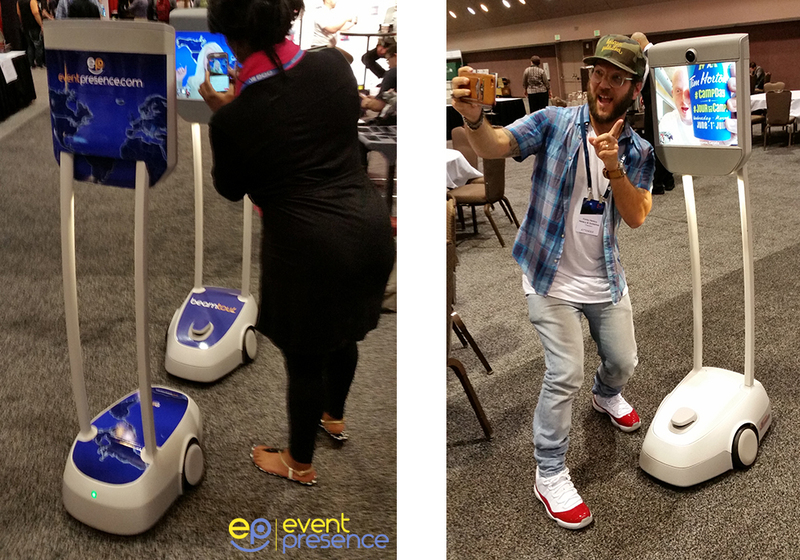 How simple it is to be anywhere in the world when you have access to Smart Presence technology by Event Presence. It’s always great to spend time with John Q! Professional Convention Management Association (PCMA) is the definitive authority in education, business networking and community engagement for leaders in the global meetings, convention and business events industry. 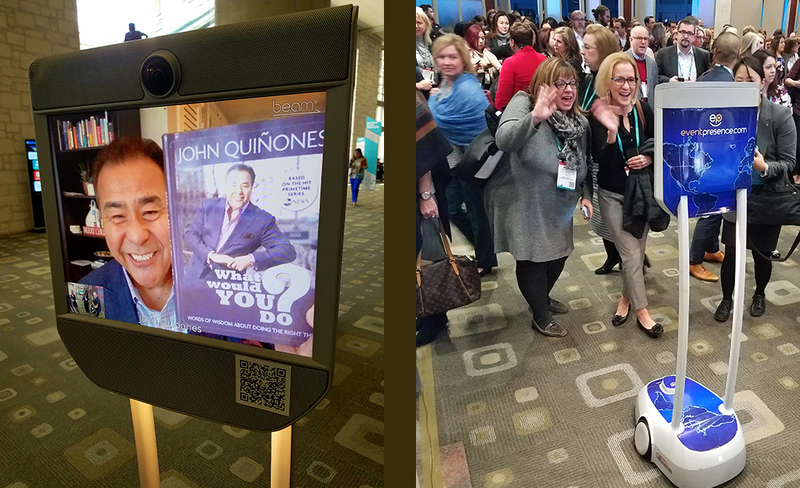 Over 4,000 show managers gathered in Texas at the largest annual PCMA event to discuss the future of the event industry. 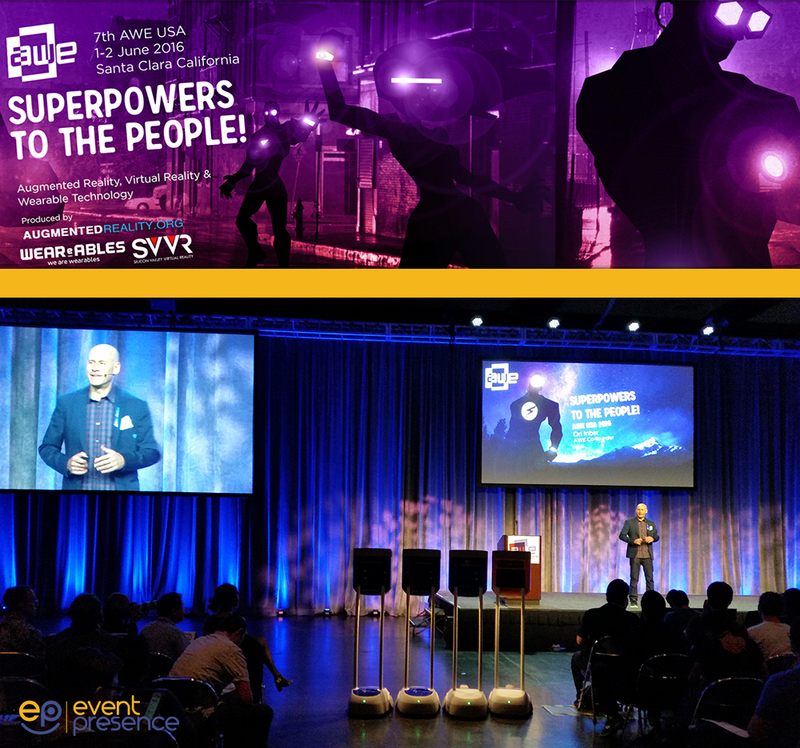 Event Presence was invited to present its solution acknowledged to be integral in the shift towards a global event paradigm. 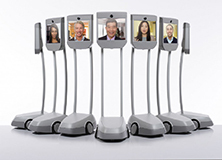 Mobile telepresence allows speaking talent from anywhere in the world to easily participate in events. 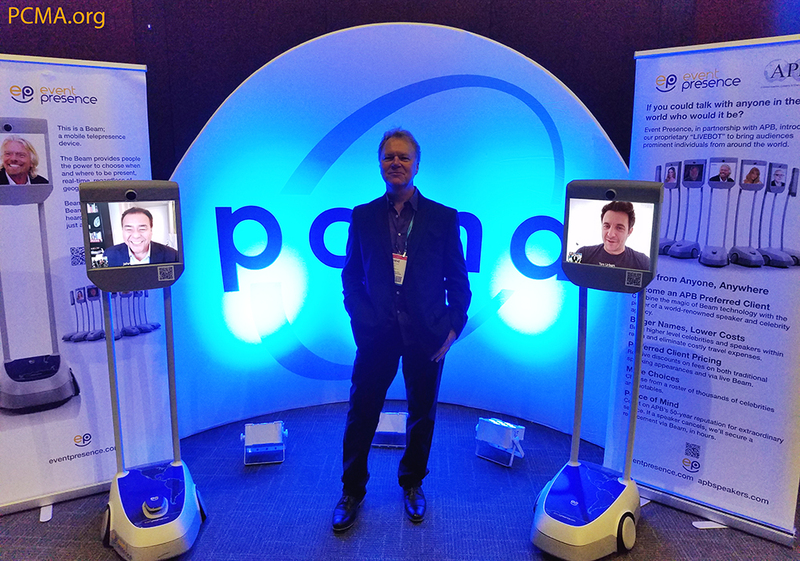 John Quinones of ABC “What Would You Do” and Tim Urban an American singer-songwriter, actor and international speaker visited PCMA via the Beam. 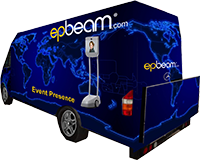 Event Presence offers a solution that can bring hundreds of attendees on one Beam increasing attendance at any event. Pasadena CA – Several special guests attended the annual gathering of Convention Center executives in Pasadena. Attendees had a fantastic time visiting with the most influential individuals of our time. 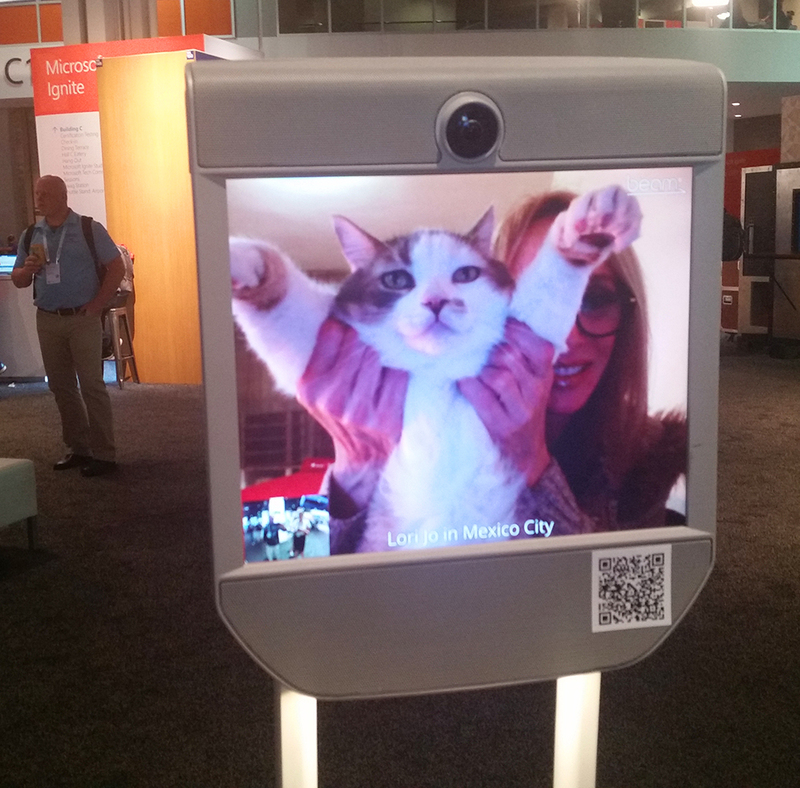 Now you can have the best speakers in the world attend your event, anywhere, anytime. Nothing like partying with Tambor, Walker, Quinones and King! 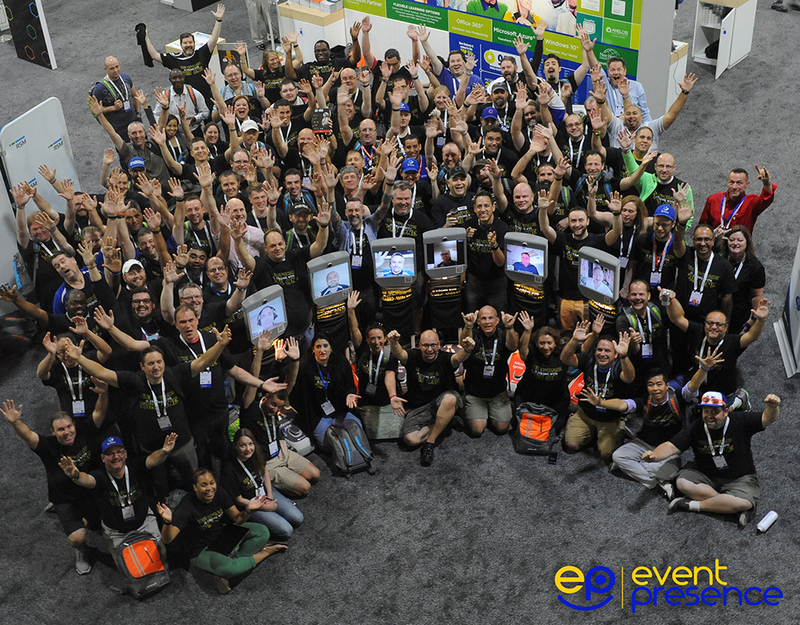 Not only can you party with these great guys, hundreds of other brilliant minds are available to you right now! Two Beams walk into a bar…. 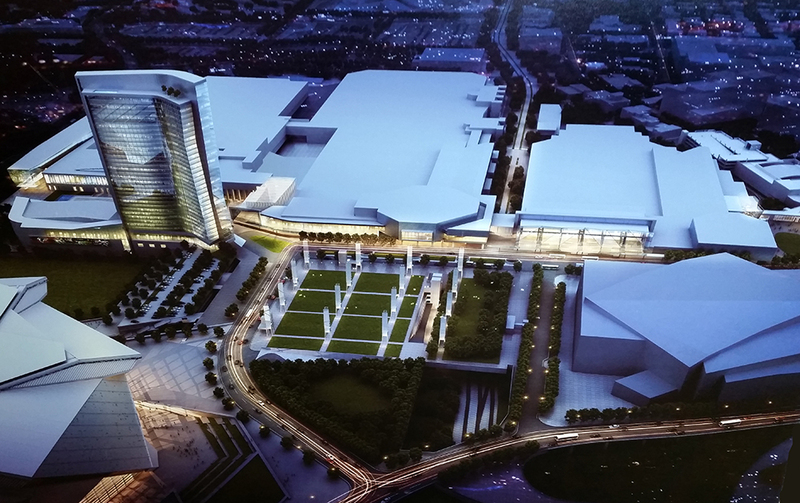 An article from an independent IT Pro prognosticates on the future of Beams in the event space. Wonder if he’s right on? 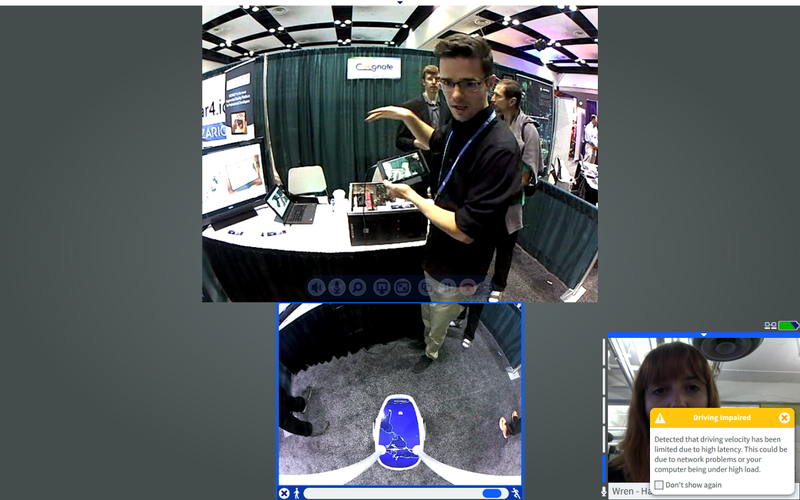 On Wednesday I attended the Augmented World Expo in Santa Clara, California. 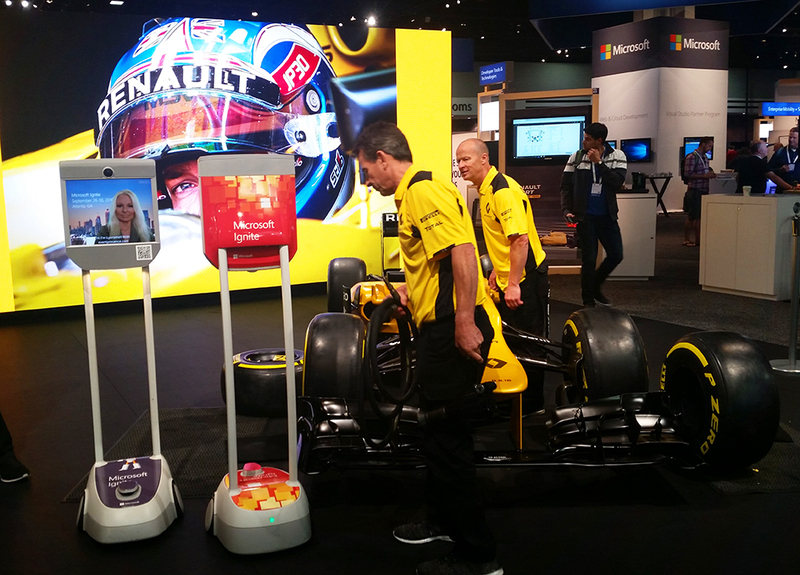 I saw some really great new tech, and met some interesting people in my field. 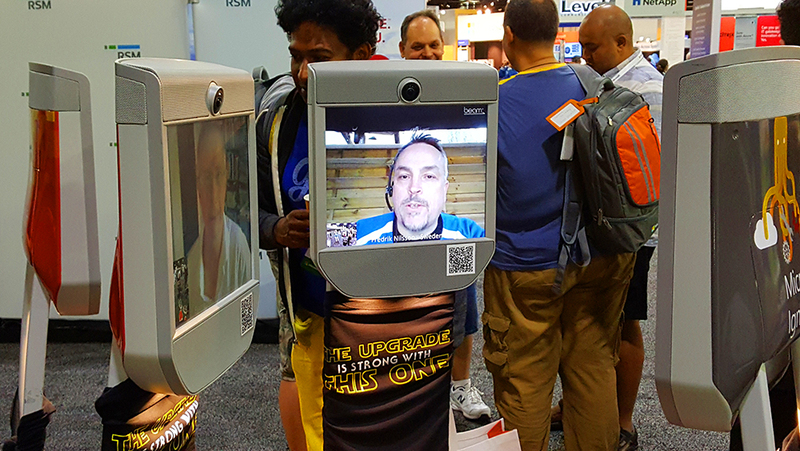 I chatted with attendees from Hawaii, Florida, and Toronto. But I hadn’t gotten on a plane, or crossed the border. I hadn’t even left my Vancouver office. 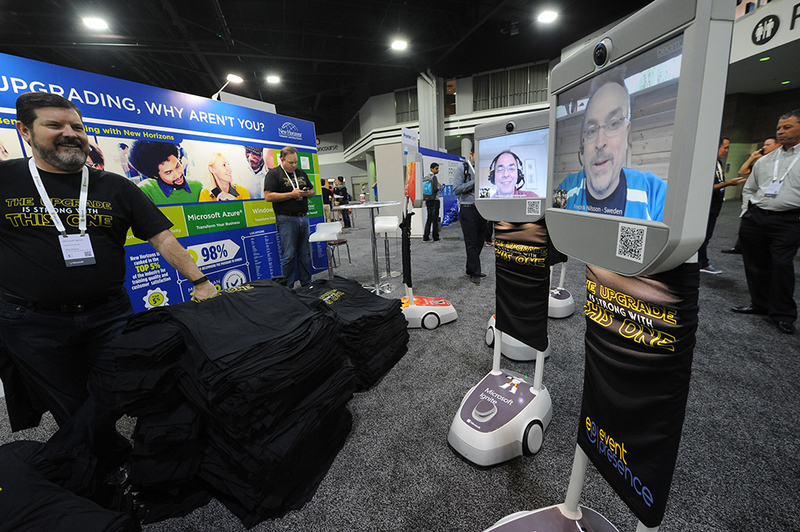 Technology for virtual attendance at live events is being pioneered all around the world. 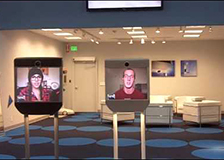 The company I ‘beamed’ with is called Event Presence, and they were hosting the telepresence aspect of AWE. 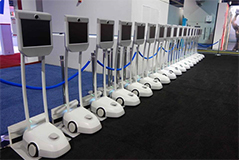 The technology pairs a large screen with what is basically a remote control car, so the user can see what’s happening around them, turn their “face” to see whoever is talking, and physically move around the venue. Basically, it’s this minus the t-shirt. 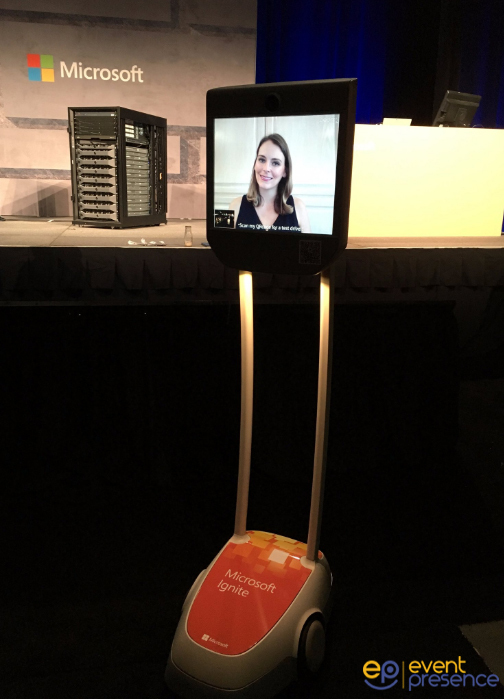 I was late to the event, so when I beamed into my first robot there was no one there to greet me (of course, as this was my first time telecommuting in a robot body, I didn’t realize someone was supposed to greet me). Somehow I had gotten into a robot on the second floor instead of the main floor, where the action was. After sorting out the basic controls I wandered, cheerfully saying hello to the steady trickle of people heading for the main floor, delighting in the looks of surprise and (pun intended) awe on their faces. 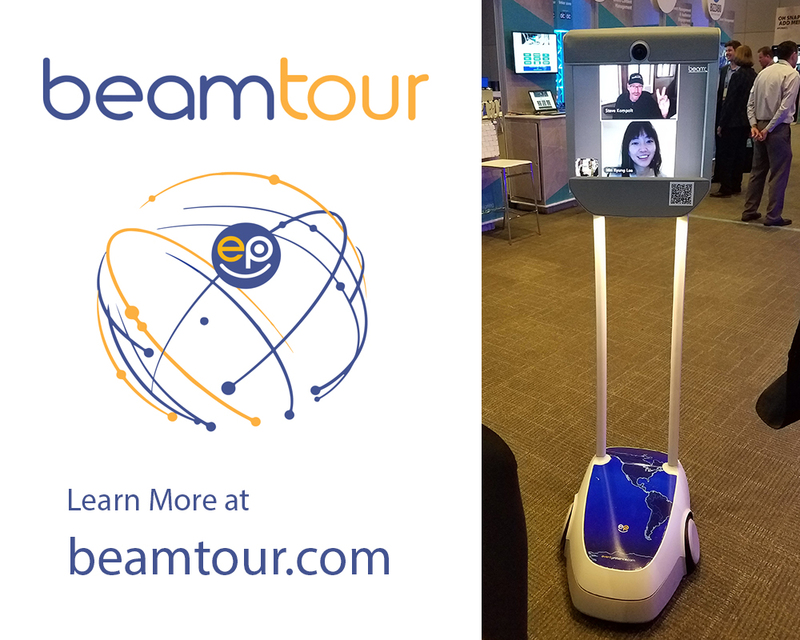 I haven’t seen one of the robots in person, but it consists of a large base with rotatable wheels (so you can turn in a circle), a tall “neck” to bring the face to the right height, and a large screen to display the user’s face. I ran into a friendly photographer from Canada (hey Toronto friend!) who offered to help me find the elevator. He led me all the way there, snapping pictures on the way (I was slow like a grandmother, but he said he had endless patience). He helped me into the elevator and I descended, only to lose the connection to my robot. It felt like getting an arm cut off — sudden and unexpected. I remembered I was sitting in a basement office in Canada (and using WiFi, which is not recommended for what I think are obvious reasons. The only thing stopping us all from being virtual all the time is bandwidth). By the time I managed to reconnect, my saviour was gone, so I struck out on my own into the Exhibition Hall. I was a bit shy, so most of my conversations involved the following: Hi, I’m from Vancouver! Isn’t this neat? See you later. 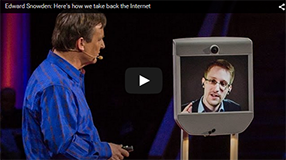 Suddenly, I was dumped from my robot, with a scary “Unauthorized Access!” on my screen. Yikes! 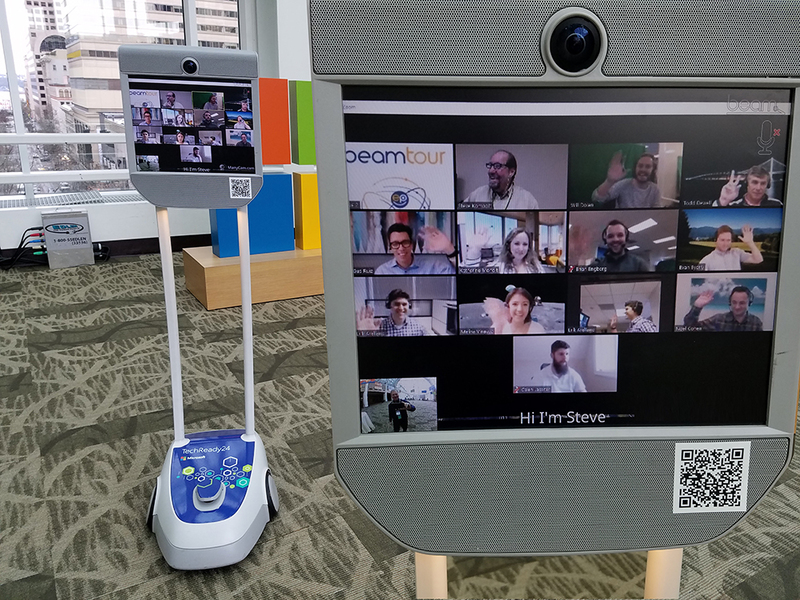 I opened a new connection to find myself in a new robot, and greeted by none-other than the CEO of Beam, Steve Ernst. 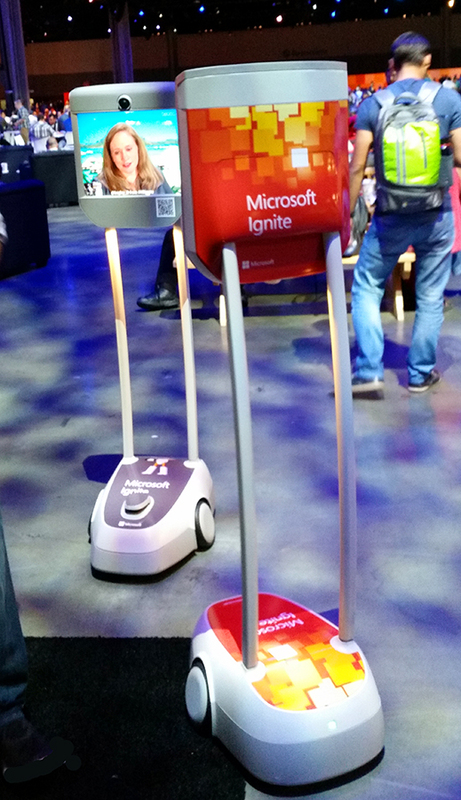 “I left your robot in the exhibition hall,” I guilty admitted. He only laughed. He talked me through a demo, and armed with a lot more confidence, he led me back into the Exhibition Hall and showed me the ropes. I now knew how to zoom in to read text, and I could even take screenshots (the function isn’t supported by Event Presence’s software for privacy reasons, but since your operating system lets you take screenshots of anything, that’s sort of a meaningless gesture). He recommended I go in straight lines up and down the “halls” of the room so I wouldn’t get lost, which I followed for one hall and then promptly got turned around and lost. The first booth I stopped at belonged to Caugnate. Oliver Townsend cheerfully walked me through their demo, showing me how their AR software allows collaboration between a technician on the ground and a remote expert. Given that I was, myself, something of a remote expert, it was a fun conversation. Oliver Townsend of Caugnate demonstrates their tablet. 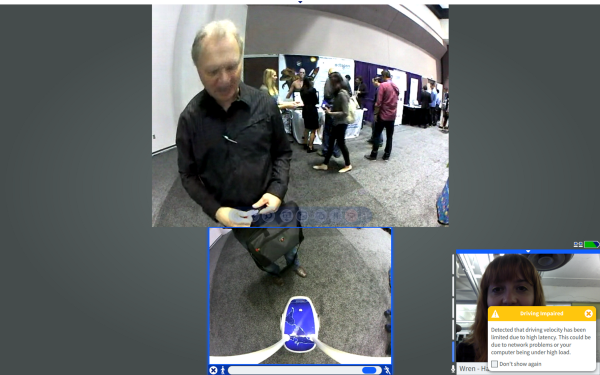 The last demo I tried was with Matthew Malon of Optech4D, one of the only companies developing for AR and VR simultaneously. We had a great conversation about the benefits of learning in VR (I mentioned an article I wrote about VR training). The only sad moment was when he described a demo they had for oil workers who could do a training exercise, and then play a game to help apply that training to a real situation. 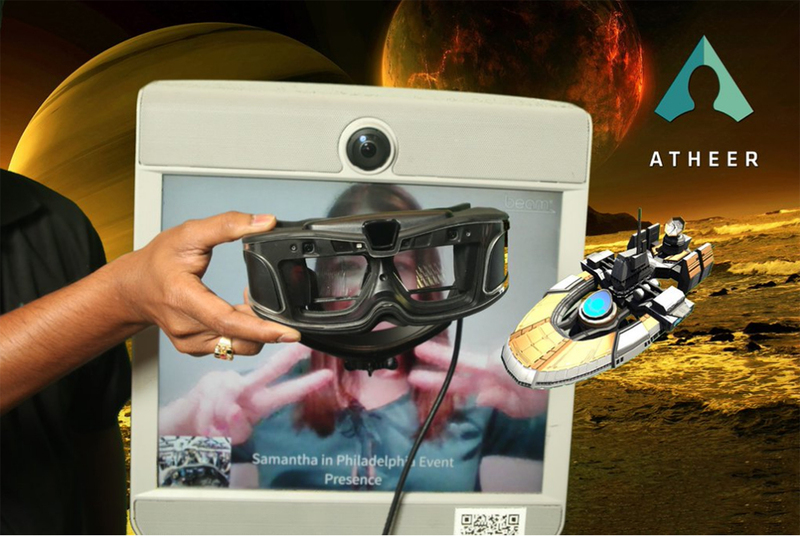 If I had been there in person I could have tried it, but robots don’t have heads… I couldn’t wear the glasses. I trundled on, enjoying the sights and sounds. 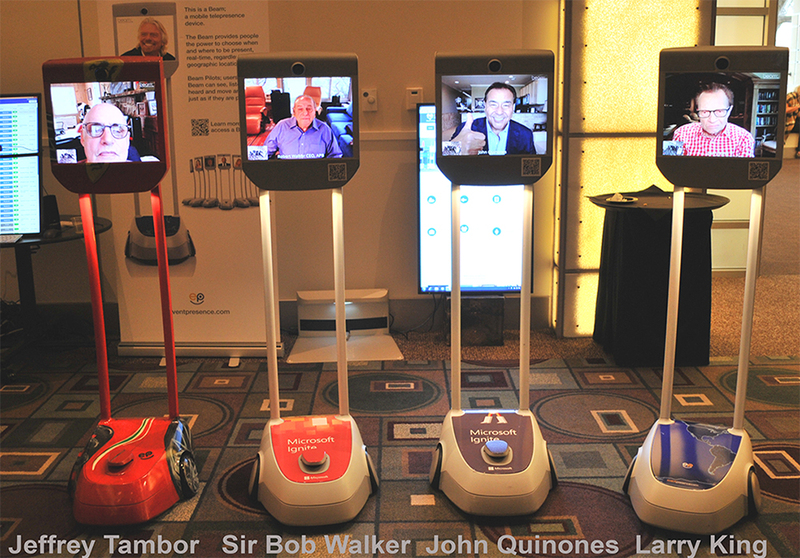 At one point I even had a conversation with another robot — a fellow Beamer. 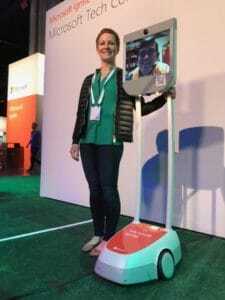 Ernst had told me earlier that while I had been given a press pass to try this technology for free, some of the robots were actually paying conference attendees! 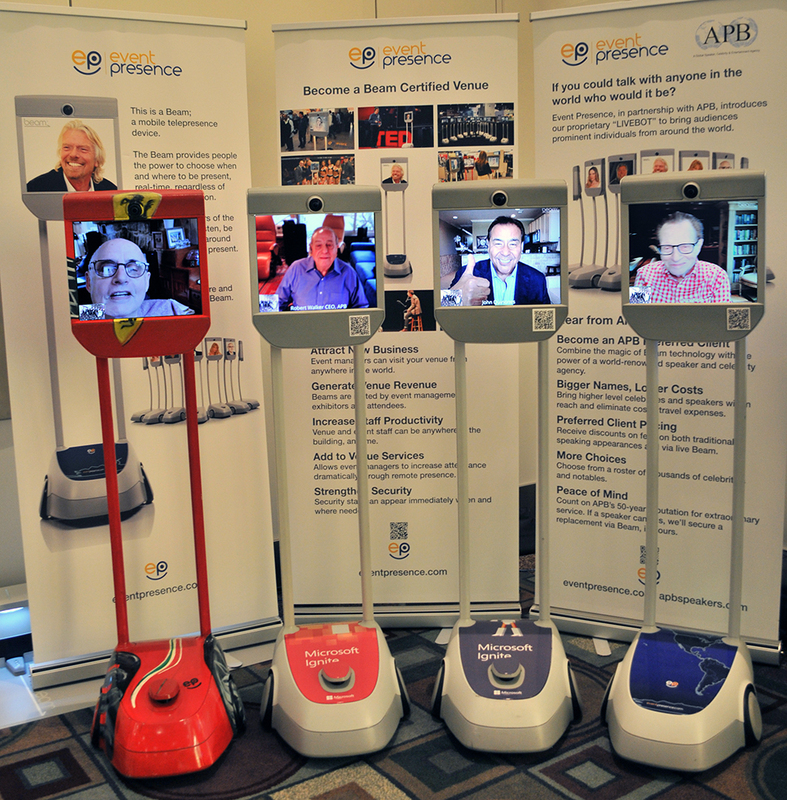 My boss asked why anyone would bother attending in person if they could do it remotely, and the only thing I could think of was the sense of presence. Admittedly, being able to do the demos would be nice, and is a big part of the conference experience for a lot of people. But then I noticed that it was almost 11, and I had a meeting. I drove my robot back to its docking station, went to my meeting, and came back to the robot — all from the comfort of my computer chair. Not doing demos seemed like a small price to pay, considering I saved on a flight and hotel, didn’t miss any important meetings back home, and was curled up in my own bed that night, sipping homemade hot chocolate and listening to the rain. All in all? 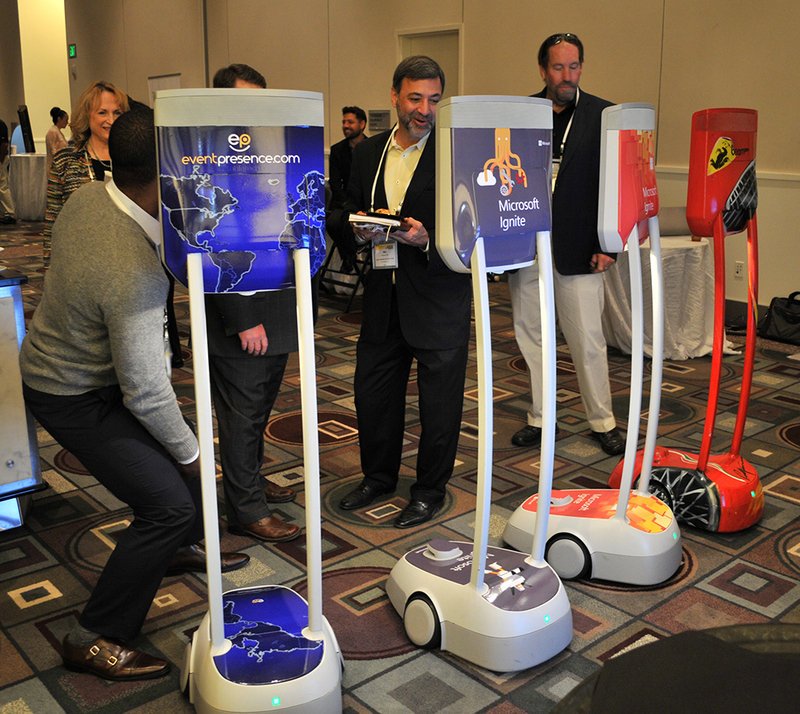 Being a robot is an awesome way to go to a conference. 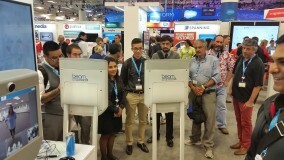 Silicon Valley June 2016 – Augmented World Expo and Event Presence invited press and attendees from around the world to visit the largest AR, VR and wearable technology expo via Beams! Above – Press from various countries were present and reported on the event during the two day expo. Beams were everywhere during the event. 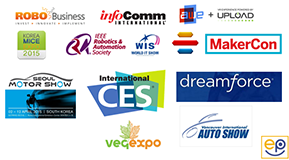 Some attendees paid to visit the exhibit floor others the high level conferences throughout the event. Samantha from Philly making it happen!